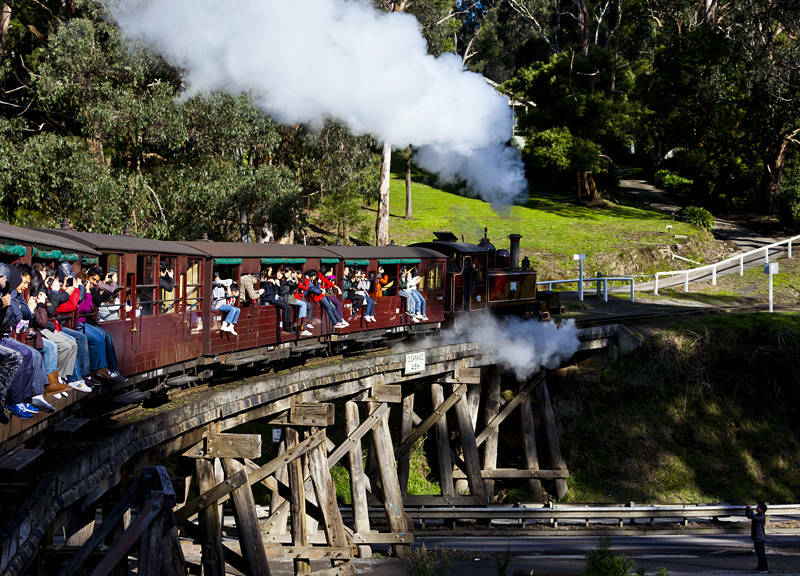 Yesterday we took a ride on the Puffing Billy Railway which runs from Belgrave to Gembrook in Victoria, Australia. It runs on a 2’6″ gauge lines and was built over 100 years ago. As you can see you can sit on the window sill and dangle your legs outside which adds to the experience. No worries about ‘elf and safety then? They are not so crazy about it ear.